It was a perfect outing. 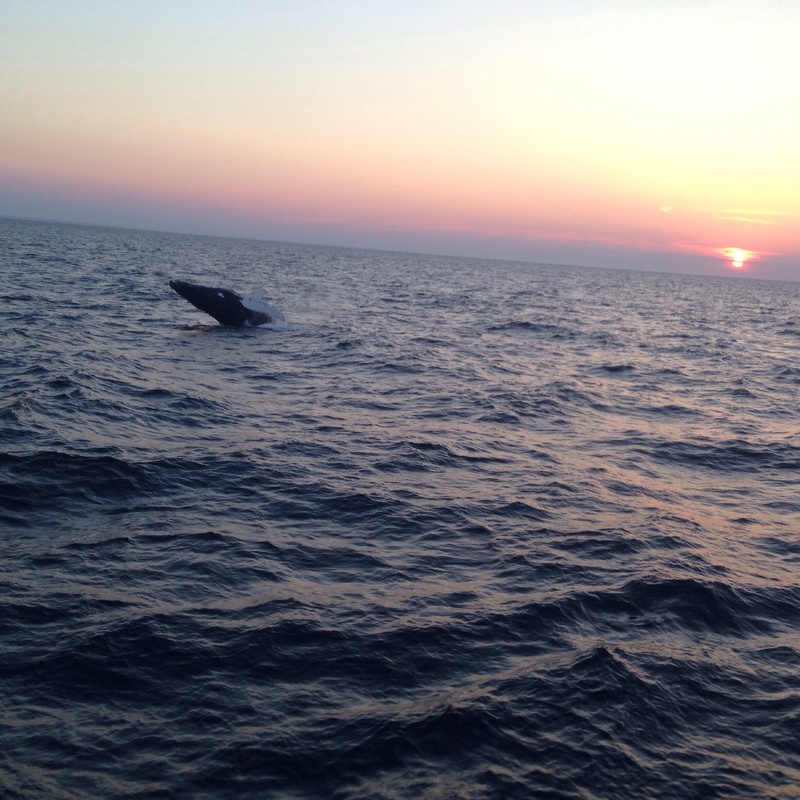 The Center for Coastal a studies held a sunset/moonrise whale watch the other night. 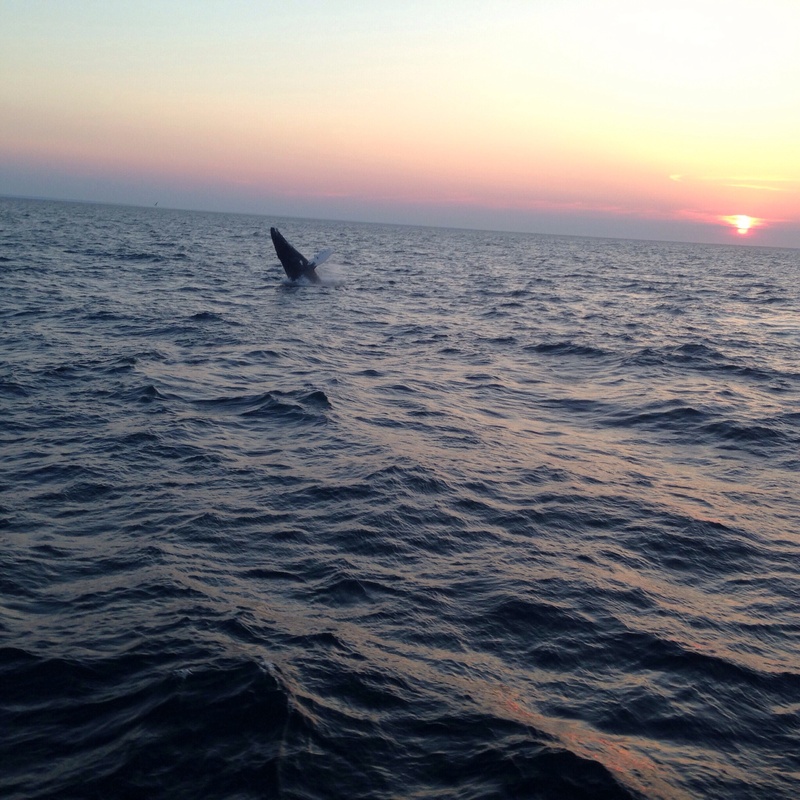 I attended with friends, met other friends on board, and had friendly conversation throughout, interspersed with gasps of amazement as whales waved, rolled, and breached before our eyes. 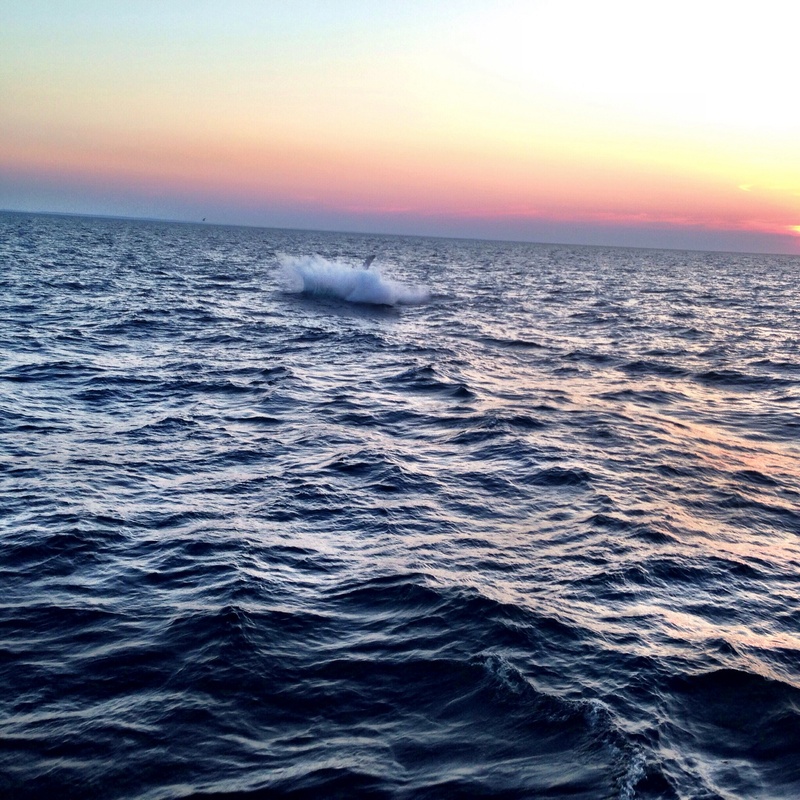 we could on this trip never see all of a whale, only parts. First, a flipper, a back, then a blowhole, and a tummy. One mother appeared to train her young calf on how to slap the water and roll effectively. Later, as the moon rose, a magnificent, as if overcome by the beauty or energy of the tides, as if moon-caught, moon-cow, breached the water, again and again. I didn’t.t see his tail emerge, only most of its thirty-five or thirty-six foot body, and then with a splash of sea spray, the tail flicked and disappeared back into the sea. if I am in the little plane from the Cape to Boston, I try to spot the whales. I imagine them as large shadows. Only once did I see one, and now I can’t recall if I just saw the blowhole spray, or if a part of it emerged. There is so much we cannot fully see, and we are so much like the story of the three blind men touching an elephant and deducing that it’s part was the whole. When we left the boat, we walked in and out of stores, and walked through the summer crowds. 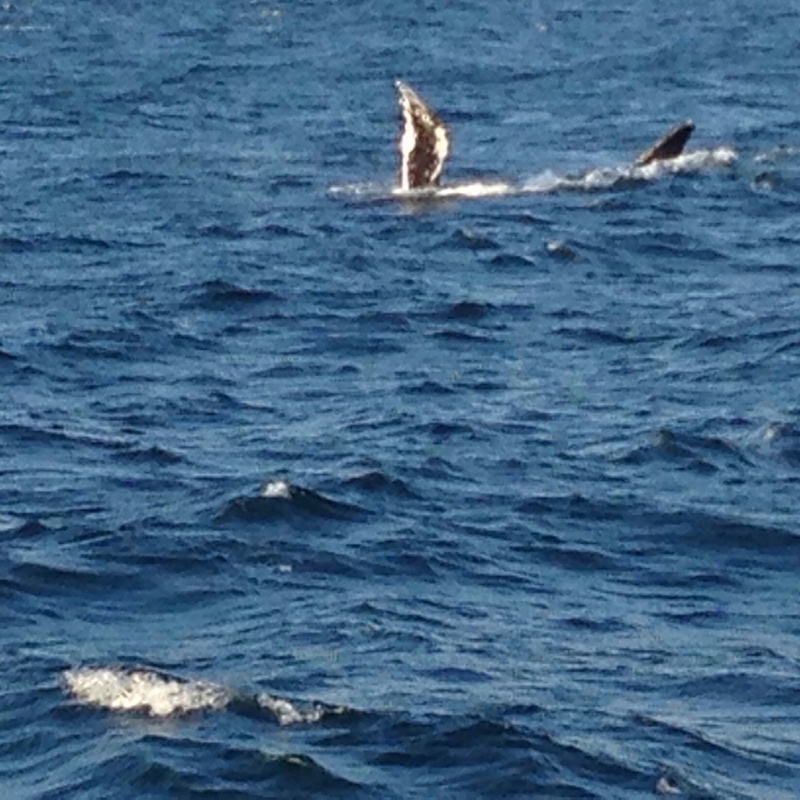 On occasion, we would stop what we were doing, and exclaim, ” we saw whales!” We did. 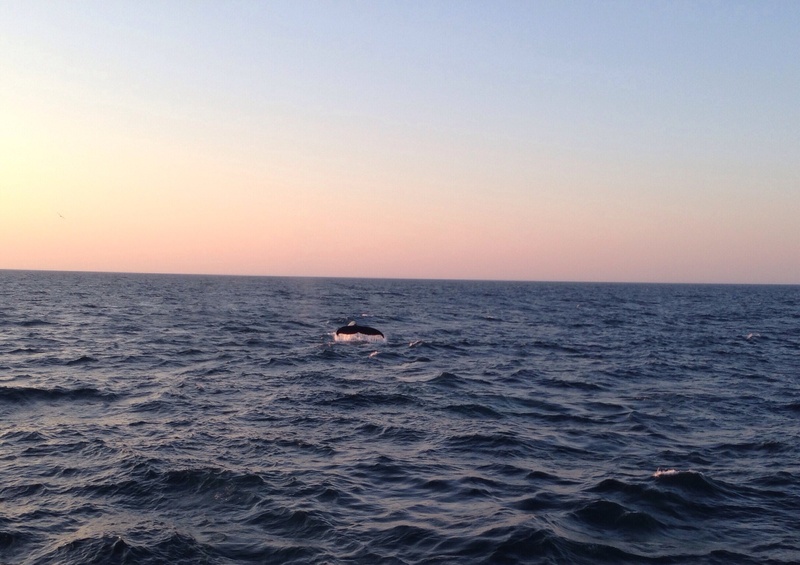 We saw whales, a magnificent sight. We saw whales. 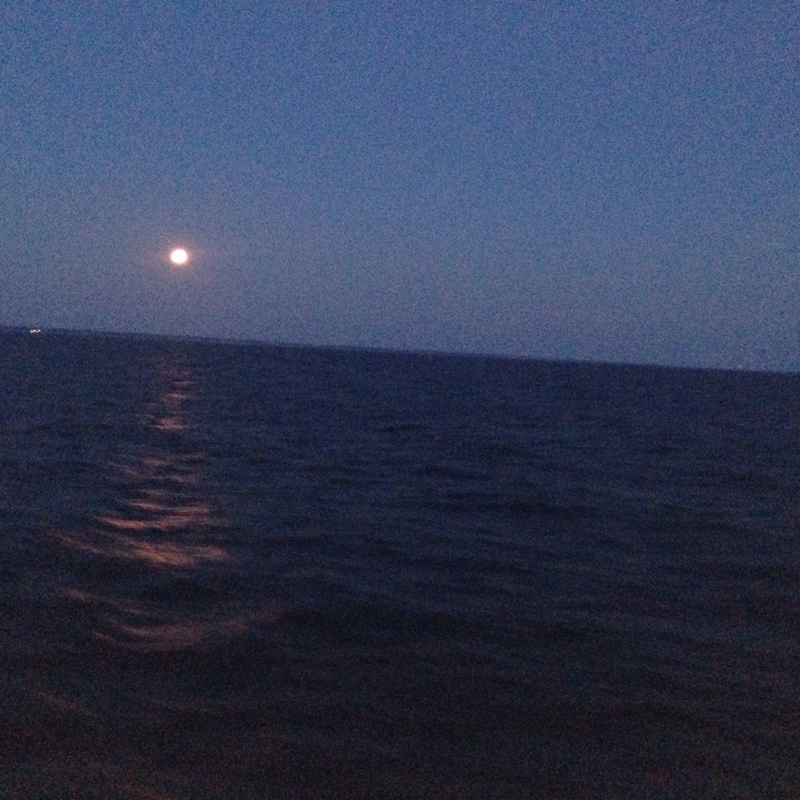 thanks for the Ocean portal…….We see …..whales !…..
Whales in moonlight! Moons in whalelight. Thank you! How magical! Lovely description of what you saw and what you felt. It was unworldly to see these sea creatures, Dana.